Jochen Jesinghaus, European Commission Joint Research Center, stresses the need for negotiated indicators to be accepted by their users. Peter Hardi, IISD, presented the IISD/European Commission Joint Research Centre initiative on sustainable development indicators, and noted that it has received public and private international and national support. He stressed the need for a dialogue between politicians and scientists to identify relevant indicators, and noted that the dashboard, developed by the Joint Research Centre, is a visual online presentation tool. He explained that the dashboard metaphor was used to: simplify characteristics of the presentation tool; focus on important sustainable development characteristics; facilitate communication; and provide visually attractive tools. Hardi highlighted that the dashboard displays the primary dimensions of sustainability through a set of indicators relating to social, environmental, economic, and institutional clusters. He stated that the dashboard provides quantitative and qualitative information, and stressed: the use of statistical analysis for data validation prior to the elaboration of graphics; algorithms for defining indicators; weighting, aggregation, gap filling and other methods; and performance scale. He drew attention to tests of the dashboard’s robustness and to the issue linkage analysis feature. Hardi underscored that the data sources for the dashboard include international data sets from the World Bank, UN Agencies, the OECD, and national statistical services. 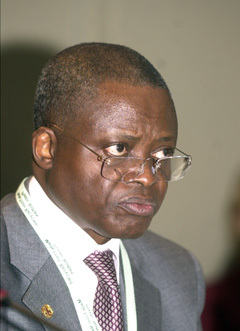 He identified high level decision makers, the media and the general public as target audiences because of: the staged approach, which provides the tools required; the use of consensus-based indicators and clusters developed by the UN Commission on Sustainable Development; and the attractive interface. He expressed determination to ensure that the dashboard be the best presentation tool for indicators that can be applied by various constituencies, including the private sector. Jochen Jesinghaus, European Commission Joint Research Centre, ran a demonstration of the dashboard, outlining: its colour fading approach to valuation; the per country performance synthesis; the possibility of global and detailed geographic and thematic analysis and comparison; the availability of map displays and explanatory notes on data collection; the internet interface enabling further research; the issue linkage analyses; and the availability of time series and trend analyses. He highlighted that the dashboard can only help to identify correlations, but cannot replace human intelligence for interpretation. Noting the different definitions of sustainable development and the use of value judgment in choosing indicators, he recommended a negotiated, transparent process for selecting indicators. Jesinghaus stressed the need for continuity in indicator programmes through long-term investment. Discussion: Participants discussed various issues, including: the scientific and political dimensions of the dashboard; gap filling methods and solutions for aggregations without distortion; causal relationships; and creating one’s own set of indicators. Børge Brende, Norwegian Minister of the Environment, explains the Nordic countries' role on the international arena and pleads not to turn the WSSD into a giant side event. 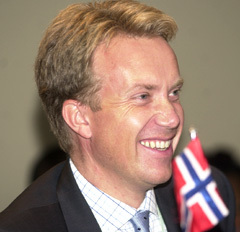 Børge Brende, Norwegian Minister of the Environment, explained that the Nordic regional sustainable development strategy focuses on: fighting biodiversity loss; phasing out harmful chemicals; promoting renewable energy; combating climate change; and applying the precautionary principle. 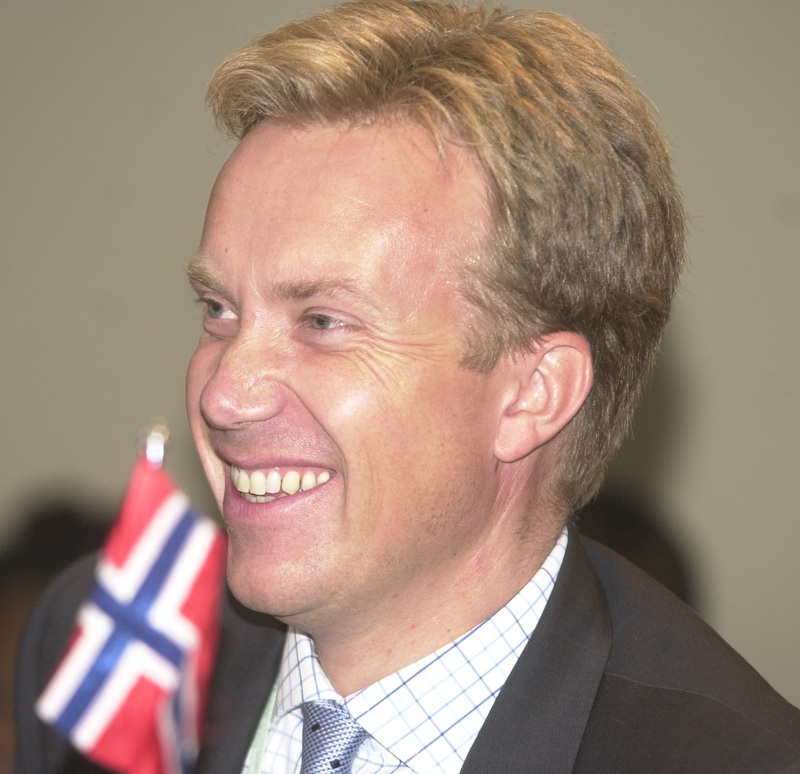 Brende underscored Nordic countries’ commitment to poverty eradication and the provision of access to sanitation and drinking water. Søren Christensen, Nordic Council of Ministers, explained the functions and objectives of the Nordic cooperation, and stated that it focuses on sustainable development and is based on clear strategies, targets, indicators, and continuity. Dan Nielsen, Denmark, described Nordic countries’ work on a regulatory framework for internalizing the costs of environmental degradation at OECD and EU level. He called for support of a global ten-year work programme on promoting sustainable production and consumption. Jouni Backman, Finland, said that regional cooperation is an optimal way for countries to join in the sustainable development efforts. He highlighted the central role of local governments in these efforts, and stressed the need for strong recognition of the importance of implementing Agenda 21 at the local level. Lena Sommestad, Swedish Minister of Environment, and Siv Fridleifsdóttir, Islandic Minister of Environment, underscored the importance of protecting the sea in Nordic sustainable development strategies. Sommestad called for additional sea-related research and advocated the ecosystem approach to sustainable development. Fridleifsdóttir said that Nordic cooperation was central to the development of marine-related international environmental agreements. Eydun Eltór, Faroe Islands’ Minister of Petroleum and the Environment, explained that the Faroe Islands’ sustainable development strategy experiences could be useful for other countries, particularly those dependent on the marine environment. Dan Nielsen, Denmark, emphasized Nordic countries’ work on decoupling economic growth from environmental degradation. He called for support for the proposed ten-year programme, stressing that it would facilitate economic growth of developing countries through more efficient resource utilization. Outi Ojala, Nordic Council, introduced the Nordic Council as a unique political forum active in the field of sustainable development, which places high priority on sustainable development goals. Martti Ahtisaari, Finland, stressed the activities of Nordic countries to promote social responsibility, democracy, peace and sustainable development worldwide, and highlighted Baltic Sea cooperation. 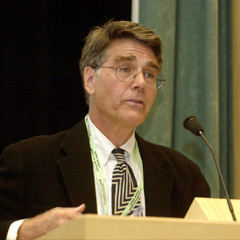 Sherwood Rowland, Receipient of the 1995 Nobel Prize for Chemistry, stresses the role of scientists in the negotiations of the Montreal Protocol on the Protection of the Ozone Layer. This event launched a type II Partnership between the EPA and the US National Academies, aimed at strengthening science-based decision-making. Twig Johnson, the National Academies, explained that the Partnership aimed at: mobilizing the scientific community; improving the involvement of science in the decision making process; and increasing the responsiveness of science to decision makers’ needs. 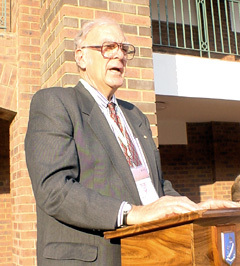 Sherwood Rowland, 1995 Nobel Prize Winner in Chemistry, described the role of scientists in the process that led to the adoption of the Montreal Protocol on the Protection of the Ozone Layer. 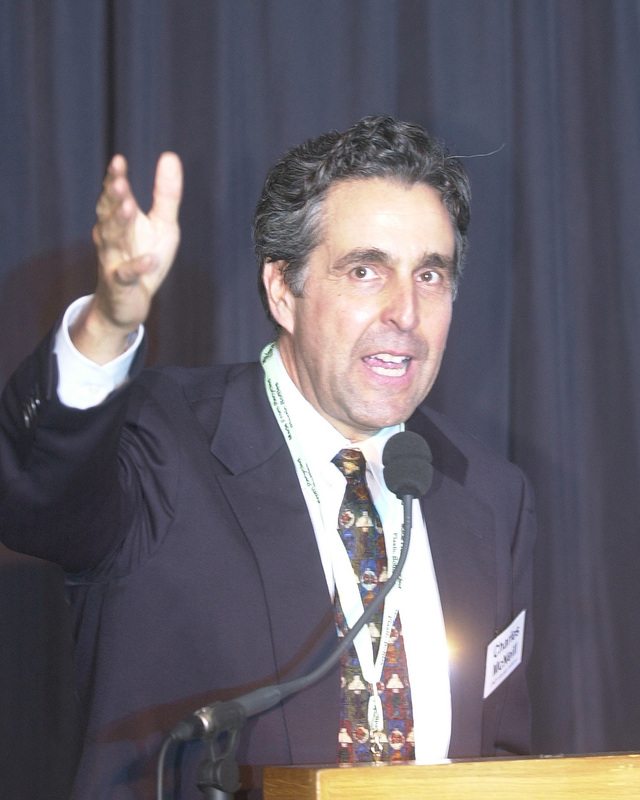 Richard Benedick, US, recalled that scientists had deliberately been strongly involved in the negotiating process of the Montreal Protocol. He stressed that assessment panels had been establsihed under the Protocol in order to make it an agreement responsive to advancements in scientific knowledge. He emphasized the importance of linking science and negotiation. 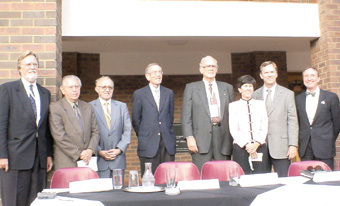 Twig Johnson, The National Academies; Eduardo Krieger, Brazil; Yves Quéré, Académie Française; Richard Benedick, US; Sherwood Rowland, 1995 Nobel Chemistry Prize; Linda Fisher, EPA; Samuel Smolik, American Chemistry Council; and Thomas Lovejoy, H.John Heinz III Center for Science, Economics, and the Environment. Linda Fisher, US EPA, said that successful environmental policies involve science in decision making. She stressed that it is impossible to identify environmental threats and develop appropriate responses without scientific data. Fisher recommended that policy makers be involved in setting the scientific agenda, and stressed the need to improve and increase the frequency of dialogues between scientists and decision makers. Samuel Smolik, Dow Chemical/American Chemistry Council, underscored the importance of dialogue between policy makers and scientists, and expressed commitment to the Partnership. 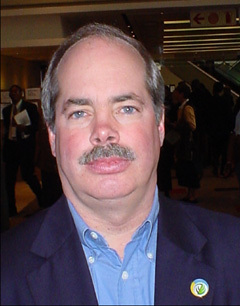 Thomas Lovejoy, H. John Heinz III Center for Science, Economics, and the Environment, gave examples of successful science-policy interactions, including one related to the hydrological cycle of the Amazon Basin. Eduardo Krieger, Brazil, stressed the importance of academia in contributing to a successful partnership, and of better decision making. 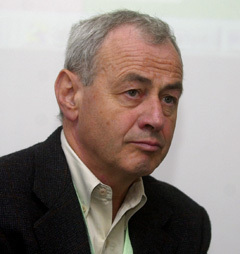 Yves Quéré, France, noted the usefulness of engaging academics in science-policy dialogues, stressing their independence, quality of work and long-term employment. 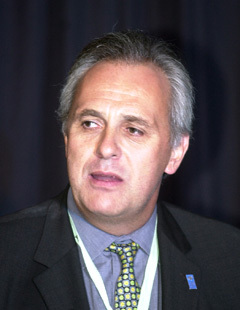 Mark Malloch Brown, UNDP, states that the Equator Prize 2002 award ceremony is the first Oscar night for sustainable development. Charles McNeill, UNDP, states that all Equator Prize 2002 finalist communities are winners in achieving sustainable development. Charles McNeill, UNDP, explained that the 27 finalist communities to the Equator Prize 2002 are all winners, since they have successfully engaged in innovative partnerships for biodiversity conservation and poverty reduction. He stressed that six communities would receive an award. A video presented some of the finalist communities and outlined the criteria for their selection: adoption of a partnership approach; leadership and community empowerment; innovation and transferability; gender equality and social inclusion; sustainability; and positive impact. The video stressed the Equator Initiative as a global partnership for change, which recognizes initiatives that successfully fulfill the Rio commitments by safeguarding communities and their environment. Mark Malloch Brown, UNDP, noted that millions of communities worldwide aim to achieve sustainable development and livelihoods, and highlighted that the 27 finalist communities are at the front line. He underscored the global importance of biodiversity, noted the richness in biodiversity of the equatorial areas, and underscored their shared problems. He stated that six prizes would recognize outstanding community initiatives, and that one would award a community initiative associated with a World Heritage Site, and which successfully integrates conservation and local livelihoods. The award ceremony also included: a certificate ceremony moderated by Timothy Wirth, United Nations Foundation; community presentations; and the awards’ presentation by Yolanda Kakabadse Navarro, President of IUCN. · II Ngwesi Group Ranch, Kenya, which reduces poverty and conserves biodiversity through ecotourism and community management. · Suledo Forest Community, Tanzania, which has established a system of village-based forest management. · Fiji Locally-Managed Marine Area Network, Fiji, which protects marine biodiversity and alleviates poverty in fishing communities. · Uma Bawang Resident’s Association, Malaysia, which has used blockades and mapping to defend costumary land rights. · Toledo Institute for Development and Environment, Belize, which promotes conservation and sustainable income generation in poor communities. · Green Life Association of Amazônia, Brazil, which defends and preserves the local environment and communities. The recipient of the prize associated with a World Heritage Site was the Talamanca Initiative, Costa Rica, which integrates biodiversity conservation and socio-economic development. Daniel Tunstall, World Resources Institute (WRI),explains that information and knowledge can help interest groups to reach consensus. This event focused on information access and sharing in order to improve biodiversity management, and multi-stakeholder participation in decision making and governance. Daniel Tunstall, World Resources Institute (WRI), explained that information and technology can help to plan for the future, support decision making, better understand policies, and set priorities to achieve sustainable goals. He said that the use of technology: contributes to increasing stakeholder participation; facilitates communication amongst civil servants; improves the capacity of NGOs in storing and sharing data; and enables better dissemination of legislation-related information. Tunstall highlighted that knowledge infrastructure and built infrastructure are equally important for promoting sustainable development. Silvio Olivieri, Conservation International, highlighted the need for more information in order to promote multi-stakeholders’ involvement in environmental conservation. He emphasized the challenges of integrating and sharing information and knowledge on: biodiversity management; species; protected areas; biodiversity corridors; and socioeconomic factors that contribute to ecosystem protection and the prevention of species extinction. 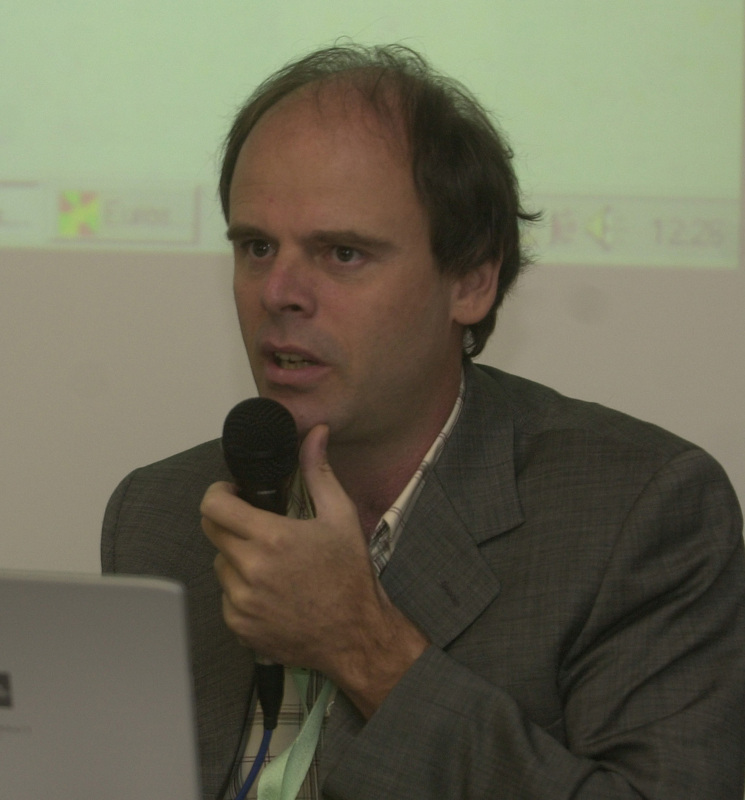 François Odendaal, Eco-Africa, said that local communities should learn how to share information, and criticized initiatives promoting top-down approaches with the aim of empowering communities. Panelists presented various aspects of the Distant Learning and Information Sharing Tool (DLIST) site. 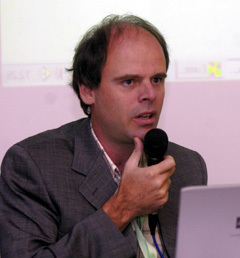 Ian Turner, Eco-Africa, noted that the DLIST site offers free access to literature, case studies and courses. He highlighted that the DLIST site focuses on community needs and encourages partnership on sustainable development in South Western Africa, including: mining, fishing, coastal activities and management. Cristella Guriras, Eco-Africa, explained that long-distance courses provided by the DLIST site address coastal activities and management, good governance, and management of natural living resources. Ilyas Omar, Eco-Africa, announced that the DLIST will make available a course on environmental engineering recognized by the South African education system, which will be available on the DLIST site from January 2003 onwards. Jacques Eckebil, FAO, moderates the discus-sion involving civil society groups and gov-ernment delegates. Martin Khor says to little has been done to alleviate the agricultural crisis in developing countries and calls for removing the detrimental subsidies in the developed world. Jacques Diouf, FAO, introduced the event as an opportunity to provide input into the Sustainable Agriculture and Rural Development (SARD) Initiative. He explained that the SARD Initiative is a multistakeholder partnership to support transition from current agricultural practices to people-centered sustainable agriculture and rural development aimed at conserving, restoring and improving environmental, economic and social well-being while meeting the world’s food needs. Ango Abdullahi, Nigeria, welcomed the SARD Initiative and called for dedication by stakeholders, especially from developed countries, to concrete activities supporting SARD. Delia Domingo Albert, the Philippines, said that the Philippine government promotes sustainable agriculture, including by implementing an integrated pest management programme. She welcomed cooperation with the FAO. Jean-François Giovannini, Switzerland, outlined outcomes of a recent conference on sustainable agriculture and rural development in mountain regions, which concluded that the main factors of SARD include income generation, the need to improve productivity, market orientation, and multistakeholder cooperation. He expressed Switzerland’s commitment to cooperating and contributing to the SARD Initiative. 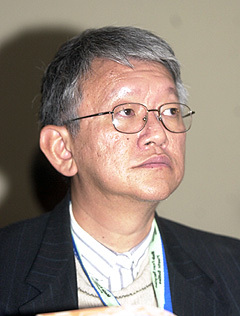 Martin Khor, Third World Network, called for directing FAO resources toward: sustainable agriculture and ecological farming; removal of developed countries’ unsustainable agricultural subsidies and tariffs on developing countries’ exports; and ensuring farmers’ access to land. Eve Crowley, FAO, described the Initiative’s objectives and priority themes, including secure access to resources, fair employment in the rural sector, and capacity building. She said that the Initiative’s implementation mechanism includes: a resource center presenting the SARD experiences worldwide; funding and “seed” capital; and decision-making support tools, guidelines and training. She welcomed involvement in the Initiative by, inter alia: submitting case studies to the resource center; sponsoring and hosting workshops; supporting capacity building; offering expertise, knowledge and technologies; linking existing projects to SARD; and developing regional or local resource centers. Discussion: A number of organizations and civil society representatives presented activities that can be linked to the SARD Initiative. A Canadian delegate expressed Canada’s commitment to technology transfer and exchange of expertise, and cooperation with the SARD Initiative. Participants also discussed issues relating to: support for indigenous peoples’ farming; the need for political commitment to SARD; small-scale farmers solidarity networks; needs of poor farmers in Bolivia; and the youth’s contribution to the SARD Initiative. Christopher Flavin, WorldWatch Institute, notes that developing countries need interna-tional financial support in order to elaborate renewable energy policies. This event addressed the possible role of renewable energy sources (RES) in reducing greenhouse gas (GHG) emissions. 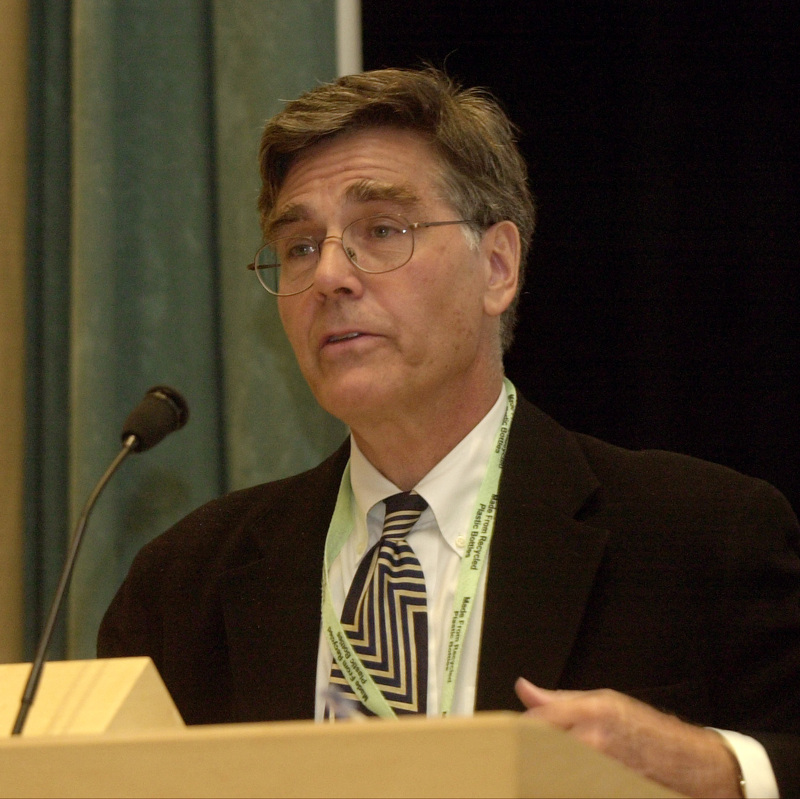 Christopher Flavin, WorldWatch Institute, noted that the Kyoto Protocol is a first step to foster renewable energy sources and reduce GHG emissions. He highlighted a global reduction in coal subsidies and gradual de-carbonization of the economy. He stated that the increase in wind power energy supply results from policies adopted in selected countries, which: encourage the development of new technologies for RES; reduce fossil fuel subsidies; and stabilize pricing systems. Flavin stressed the important role of governments, especially in developing countries, in fostering transfer of RES technology and creating markets and jobs. He said that a WSSD target for renewable energy would help increase world sustainable energy. Godfrey Boyle, the Open University, highlighted the progress made since the Stockholm Conference in promoting RES, especially solar power, and the need for ambitious targets. Boyle explained that the majority of RES derive from solar power that can be used: directly, for heating and electricity generation; and indirectly, in forms of biofuels, hydro, wind and wave power. He noted that solar power produces close to no GHG emissions and has an equitable global distribution. Boyle further stressed that RES costs are decreasing and that more investment would increase the solar power production and further reduce cost. 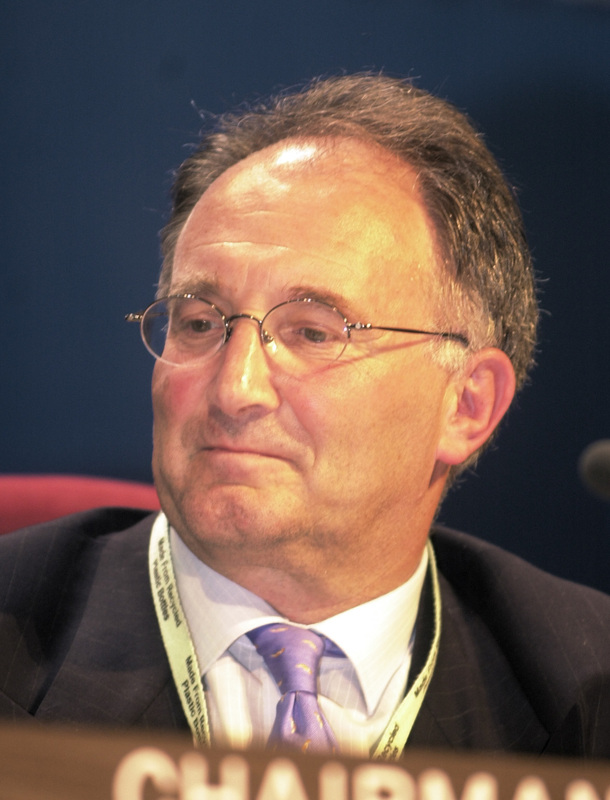 He highlighted that wind power can be cheaper than electricity generated by coal-fired or nuclear power plants, and that, in the UK wind turbines have become tourist attractions. He noted that some European countries have established voluntary targets for generating renewable electricity. He noted the possibility of solar energy being responsible for 100 percent of the world electricity power by 2100. Discussion: Participants addressed: countries’ resistance to shift from traditional to renewable energy services due to costs involved; the role of multinational corporation in promoting renewable energy technologies to developing countries; and WSSD proposals for RES targets. Geoffrey Lipman, WTO, advocates growth and extension of sustainable tourism as a pri-ority for developing countries. 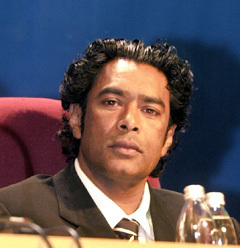 Nandcoomar Bodha, Mauritian Minister of Tourism, emphasizes that there should not be five star hotels in two star countries. At this event, the publication “Tourism and poverty alleviation” was presented, and experiences and potentials of sustainable tourism were discussed. 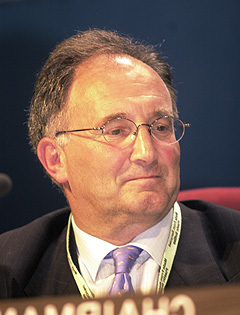 Francesco Frangialli, Secretary General of the WTO, noted the significant growth of the tourist industry in recent decades, and advocated tourism as a part of countries’ poverty alleviation strategies. He underscored tourism as a means to reducing countries’ debt and dependence on raw material exports, and called for planned and sustainable tourism. Dawid de Villiers, WTO, stated that tourism can make a substantial contribution to poverty alleviation and noted the potential for tourism development in less developed countries and rural areas. He highlighted the tourism sector’s contribution to: income-generation in many developing countries; restoration of world heritage sites; and job creation. an international foundation to attract financing for tourism projects; a research base to identify principles and model applications; and an operating framework, which promotes good practices among companies, consumers and communities. Rubens Ricupero, Secretary General of the United Nations Conference on Trade and Environment, stressed sustainable tourism as an important tool for environmental protection and employment generation. He stated that many countries fail to recognize the potential of tourism for economic development, and underscored tourism’s catalytic role for the development of the service sector. Ricupero highlighted increased tourism as a positive result of globalization. Sereyvuth Veng, Cambodian Minister of Tourism, noted the importance of country stability to tourism development. He underscored tourism as a catalyst for developing infrastructure and providing electricity in rural areas, and highlighted the critical role of governments in promoting tourism development. Nandcoomar Bodha, Mauritian Minister of Tourism, emphasized the importance of positive interactions between tourists and local communities, underscored social responsibility of the tourism industry, and called for community involvement. Zakia Hamdani Meghji, Tanzanian Minister of Natural Resources and Tourism, underscored: the involvement of local people, sharing tourism benefits between government and local communities; and cultural tourism. 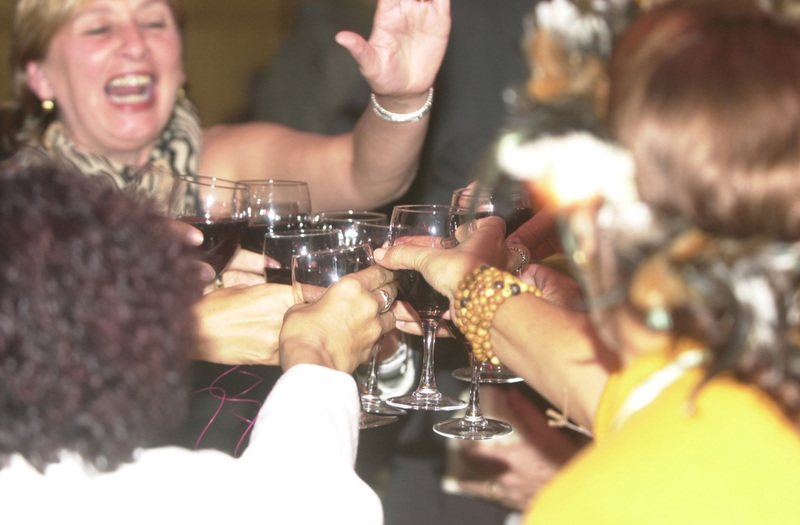 Sarah Timpson, the GEF, stated that tourism often leads to economic exclusion rather than inclusion, and that uneven distribution of benefits causes social distortions. She advocated community initiative and ownership, and stated that low-impact tourism provides the greatest benefits for local communities.